Tablet sales continue to increase as sales of laptops and other PCs decline. Whether you call it a death, decline, or decimation, the PC and all its variants are quickly succumbing to the rising popularity of tablets. The latest indication of this ongoing trend is the decline in laptop PCs. Worldwide shipments of touch-based tablets in 2014 are expected to more than double that of laptops at 364 million, as well as ultra-slim PCs at 177 million, according to a new quarterly forecast from NPD DisplaySearch. The new report follows up on DisplaySearch's January prediction that tablets would overcome laptops for the first time in 2013--a prediction DisplaySearch still stands behind. 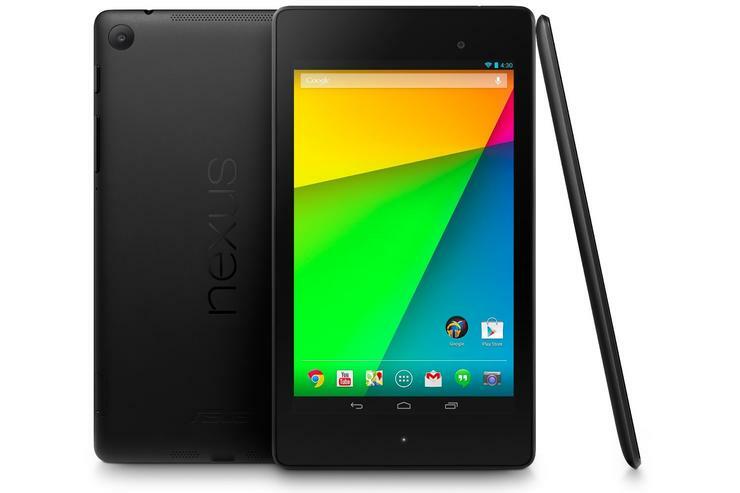 Part of the reason for the tablet boom is the growing popularity of small-screen devices such as the newly released refresh of the Nexus 7 tablet (shown above). DisplaySearch says that tablets with screen sizes of eight inches or less will make up 59 percent of tablet shipments in 2013, rising to 63 percent by 2015, as shown in the chart below. But emerging markets are also playing a big part in the growing tablet adoption. PC purchases were already low in regions such as China and Africa, according to DisplaySearch. When people did buy a PC they were typically opting for laptops. Now, however, that preference for laptops is moving towards tablets, thanks to the lower prices of tablets as well as their better battery life and greater portability. What about in the U.S. where Microsoft co-founder Bill Gates pretty much realized his vision of a computer on every desk and in every home? In these parts, laptops and other PCs are so common they've become home appliances alongside microwaves, refrigerators, and dishwashers. "Both [laptops and tablets] are evolving," says Richard Shim, who authored the new DisplaySearch report. "It's certainly possible that tablets could cannibalize notebooks [in the U.S.], but it's too early to tell." Tablets and laptops are certainly going after the same user base, says Shim, resulting in a sort of convergence where laptops take on tablet-like qualities such as instant-on functionality, more portable form factors, and better battery life. At the same time, tablets are taking on the performance-oriented features of laptops such as higher-powered processors, more input and output ports, and high resolution displays. So whether U.S. users will gravitate towards tablets or opt for owning both a tablet and a laptop or other higher-powered PC remains to be seen. Another question is what effect the rise of tablets will have on Windows, the grand poobah of the PC operating systems? "What we're seeing is a dramatic shift in how consumers use mobile computing devices," says Ross Rubin Principal Analyst at Reticle Research. "Consumers are using things in the notebook/tablet form factor more for watching TV and other videos, web surfing, email, and casual games; these are tasks that lend themselves well to a more intimate consumption model." Hoping to capture some of that desire for a more intimate device, Microsoft sought to turn tablets into PCs by creating a version of Windows optimized for touch instead of producing a mobile OS for tablets. The thinking was that users would gravitate to a Windows tablet capable of running Office apps that had a familiar desktop interface, as well as an attractive touch UI complete with its own app store. Nine months into Microsoft's grand experiment, however, the prospects for Windows aren't looking good. The company was forced to make a partial course correction with Windows 8.1 (due out later in 2013) to satisfy mouse-and-keyboard PC users who aren't interested in the new Windows start screen. Microsoft is also struggling to convince tablet buyers to go Windows instead of buying an iPad or an Android slate. Recently, Microsoft was forced to take a nearly $1 billion write-offafter slashing the prices of Surface RT tablets lingering on store shelves. Tablets running the x86 version of Windows haven't fared much better. In May, market research firm IDC said Windows tablet shipments reached just 1.8 million during the first three months of 2013 (Disclaimer: IDC and PCWorld are both owned by International Data Group). For the same period, Apple reported iPad sales of 19.5 million. Part of the problem for Windows devices is the price. "Windows devices are expensive when compared to products such as the iPad mini and, especially, the glut of recent sub-$150 Android tablets," says Rubin. "Microsoft has been trying to make a best-of-both-worlds pitch, but the desktop applications have been so incidental to many people that the PC has been relegated to scenarios where productivity is at a premium." While the end of the PC as a common utility may be coming, and Windows appears fated to suffer along with that decline, there will still be a need for PCs and Microsoft's trademark OS. Many professionals such as graphic artists, designers, engineers, and even lowly writers will still rely on a PC for day-to-day work. Beyond the professional market, ultramobiles could become more popular as 2013 wears on. During the last three months of the year, Ultrabooks and other slim devices powered by Windows 8.1 will hit the market powered by Bay Trail and Haswell processors. While these new devices aren't expected to rival tablet shipments, they will help move the sales needle a little bit and will also let PC makers charge a premium for well-crafted devices, according to market research firm Gartner. So while the iPad Mini, Kindle Fire, and Nexus 7 will become more common in the coming years, PCs, at worst, will occupy an important yet small niche in our computing universe.